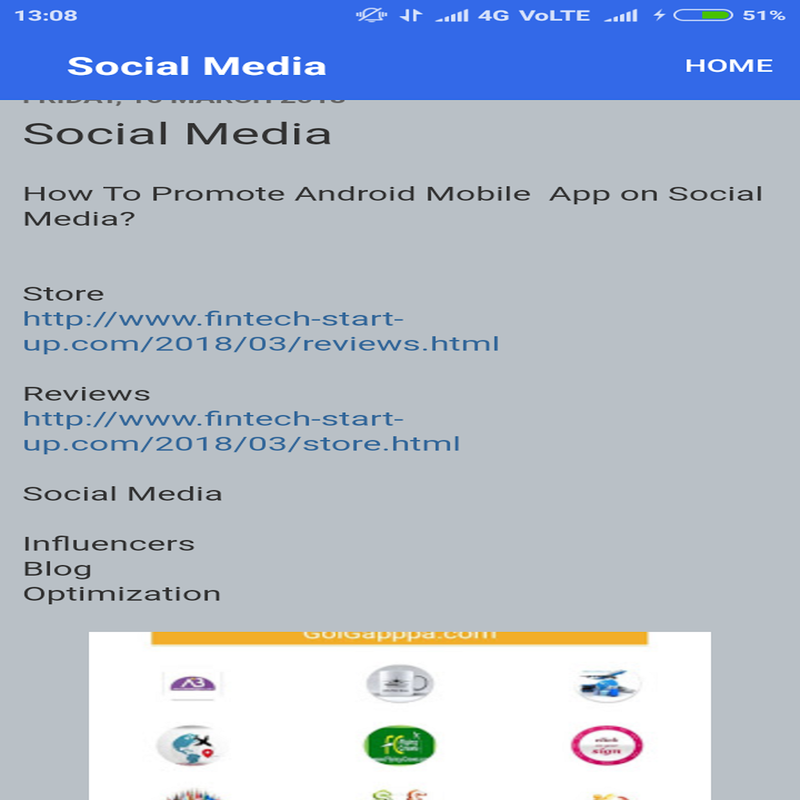 How To Promote Your Android App.? Android phones currently rank first in terms of smartphone Operating Systems and cover more than half the smartphones numbers around the world. So building apps for the Android phones is a safe bet to make the profit. Although people do prefer free apps than paid ones in the android play market, if your app has the factor that makes it more productive and attractive than other competitors, then it will surely sell. Now the major problem with Android developers are they are techies and not a marketer. In order to promote Android app and to find the people to talk about their product is not a piece of cake. 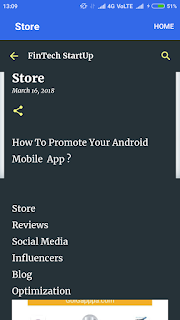 Well, here I’m sharing some of the working tips which you can utilize and create a buzz about your latest app developed by you. Always remember, your app should be rock-solid, and best marketing of any product comes with the word to mouth marketing. 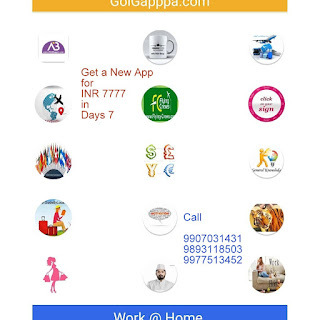 I always recommend app developer to create a landing page for your app. Yes, your app will be listed in the app store but it’s always a good idea to have a custom landing page for your app. 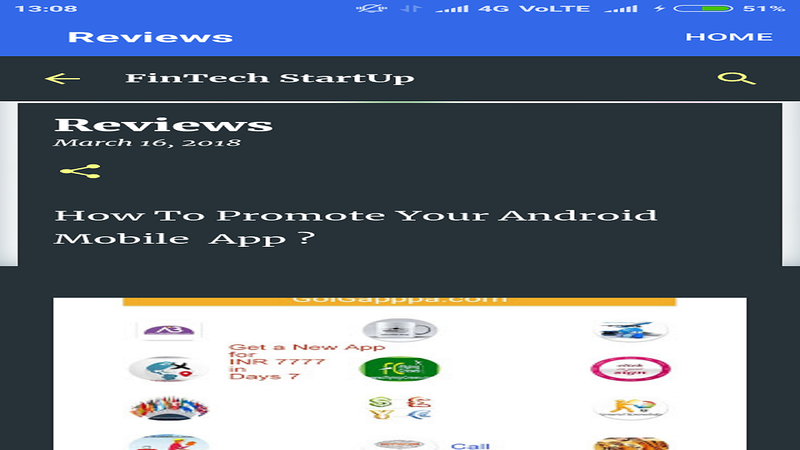 This will not only help you promote your company but will help you to get more work for Android app development. Take care of branding and on your page, add a section for screenshots and videos, which will help other bloggers and users to understand about your app. Developing such product landing page on WordPress does not cost a lot, and you can grab My app theme from Elegant theme which is perfect for a mobile app landing page. The best way to get a lot of installs is using paid medium such as Facebook ads. Facebook offers advertising for App ( Both Android & iOS ), and you can target users based on various factors such as age, location, mobile OS and many more. If you have an email list, you can use that to target your ad to a particular list. Head over to Create Facebook Ads page & get started. The Best App for Women Who Work Only Home. But before you submit your Android app to the market, keep in mind that the application has to be fully complete and should have a good interface. Never make a mistake of submitting a partial app. Submitting a partial app will lower your users ratings and will blow your plan permanently. Also it is known that google’s play market algorithm will take your app higher if the users rate well in the initial stage. That’s one of the tricks to improve your download count. 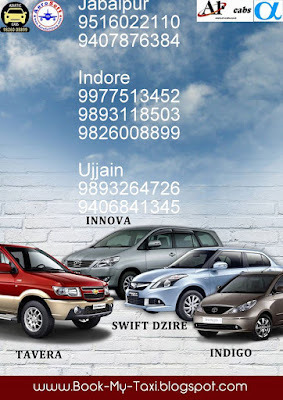 Do you know there are multiple store to submit your Android app. Google play store is the most popular, but there are many others such as Amazon app store, which is good too. Here I’m listing down some of the popular app stores where you can submit your Android app. You don’t have to build your app from scratch, just marketing graphics size to match to typical store. All Best All Airlines News from all Over World. This has been the best way to get people to download premium apps. The free apps get the user base and then it will tend the user in buying add-ons or the full version if he likes it. Or you can simply launch a free app with ad and promote an add free with some advance feature in your premium version. You can also consider launching your app for free for first two weeks to increase the user base and later on you can upgrade the price. This marketing and promotion strategy works most of the time and for most of the apps I know of. Best App for gk quiz. Nobody will buy your app unless you promote it. Hence marketing the Android app is as important as building one. The best method to market your app from my experience is through content and reviews. There are few review sites that offer paid reviews.For paid option If you’re targeting specific to android market, you can try few like androidtapp.com or pcworld.com or any service depending on your budget. 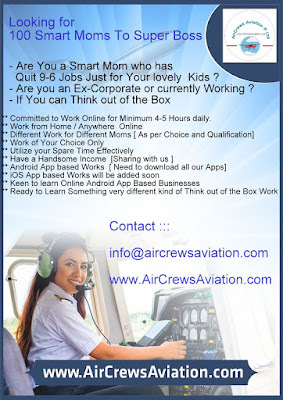 Best app for Shopping for Alfa Pilot. But there are services that offer free publicity like MobileStartupz.com. It’s a startup voting community that ranks apps submitted every month end. If your app idea is good, then it might even be on the site front page for a month if it gets enough votes. The site is also a good option if you have the same app for different operating systems because they accept Windows,iPhone and Blackberry apps as well.You can try this if you want to get an initial boost of downloads. Best App for Art and Artist. Make a couple of YouTube Videos showing how the app can be useful to people or entertain them. Try to make the video using a better clarity and understanding which is also worth sharing. More over, when you are going to drop a Pitch Email to any bloggers for review of your app, make sure to send him your video link. This will help a blogger understand your product better and will help them to write better app reviews. More over, most of the time you will see your videos will be embedded along with review article, which will help in creating more awareness. Have you ever downloaded an app with no icon or no icon. Well according to the app market, people download apps on large based on their icons. Crappy icons blow your app to the bottom and will indicate an unfinished or poorly made app. Optimize and beautify your icons. Social media can be useful sometimes. Submit your app to social media like Stumble upon, Reddit, etc. and if your app deserves some attention, then you might be in for some better downloads. Don’t forget to submit to the Reddit Android section here Android Reddit. I have very limited information regarding Press-release promotion. Though, if you manage to get into one of those PR agency, who sends out the newsletter to Techies and Bloggers about latest Android apps, getting into one such list is going to be very beneficial. If you have developed a paid app, it’s always a wise idea to keep a budget for advertising too. 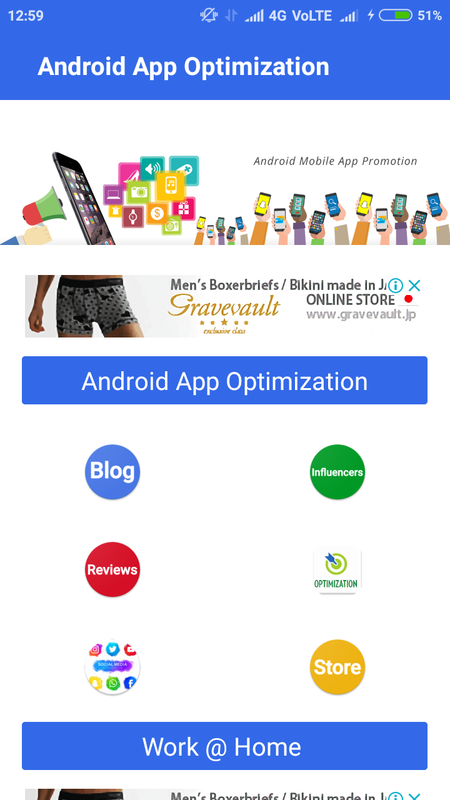 Create a landing page for your app and put advertisement banner on popular Android niche blogs. Though, if budget is a constraint, you can always go ahead and take the route of Guest blogging and do a soft promotion of your app. For buying advertisements, you can directly contact the bloggers and web masters or you can simply go to Buysellads marketplace and find niche blogs. I’ve even worked with people who built an app for their church. Everything from strategically placing the most relevant widgets, beautifully crafted layout designs, and engaging educational content. Yet despite the countless hours and expert attention to detail, many businesses are still not receiving the type of adoption they were hoping for. Instead of thousands of people flooding the app store to download the app, they receive about a dozen. The initial impression is to assume that maybe the content is not as great as it should have been. Doubt begins to crawl its way in and suddenly we are wondering if maybe creating an app was a wrong move from the start. As compelling as your inner doubts can be, we believe otherwise. Your app has had a lot of time and though sewed into it, the last thing you want to do as a business owner and as a creator is throw it all away by not promoting your app. Imagine a new restaurant opening down the street in your neighborhood. The restaurant opens up its doors bright and early without telling a soul. All it has done to promote itself is place a sign outside its door saying “Come on in!”. On the inside, the restaurant has friendly staff, top of the line cooking equipment, and the most mouthwatering croissants you have ever tasted. The day passes by and the owner is confused. His restaurant should have been a smashing success. He conducted extensive research to give his customers the greatest experience possible, yet no one was coming in. The day dragged on and by the time of closing, the restaurant had only served around 20 customers. The owner is at home enjoying a hot cup of coffee looking over his business plan, still trying to figure out what was missing. To anyone reading this, it may already seem obvious that the business owner could have definitely take a better approach to marketing his restaurant. Posters should have been placed all over the city, a large opening ceremony followed by a press release, and a dedicated social media campaign to let everyone know of his grand opening. Yet as silly as it may seem to read this example, this is exactly the type of mistakes I see many business owners make. All of their resources are focused on creating exceptional products. Which inherently is never a bad thing, products should be as value driven and high-quality as possible. The problem is that the value of those products are not promoted as effectively as they should be. So all that hard work is never given the proper attention it deserves. A general rule of thumb is to spend about as much time promoting your product as you do creating them. If you spent two days writing a blog post, then spend the next two days distributing your blog post in as many outlets as possible. The more you promote your content, the easier and faster the process becomes. We know small businesses do not have a large budget to dedicate to marketing or promotional events. Even those that do have the money may find themselves only having a few channels to promote their content. We have gathered 28 tried and proven methods to guide you in marketing your app effectively. These steps will only cost you time and we are confident that if you follow them, you will have a significant increase in a number of followers and downloads then you have now. …a 5% increase in customer retention can increase a company’s profitability by 75%. If you have an existing website that is fully functional and mobile-friendly, then your site can be one of the greatest assets to promoting your app. 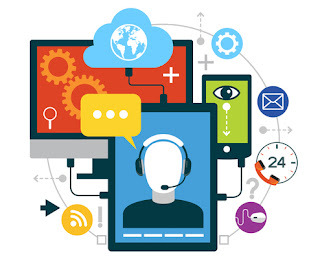 At one point or another, all of your customers or anyone interested in your company will find their way to your website. When they do, it is important they all know you have an app. Including your app in your site could mean sectioning off a part of your site exclusively for the app. 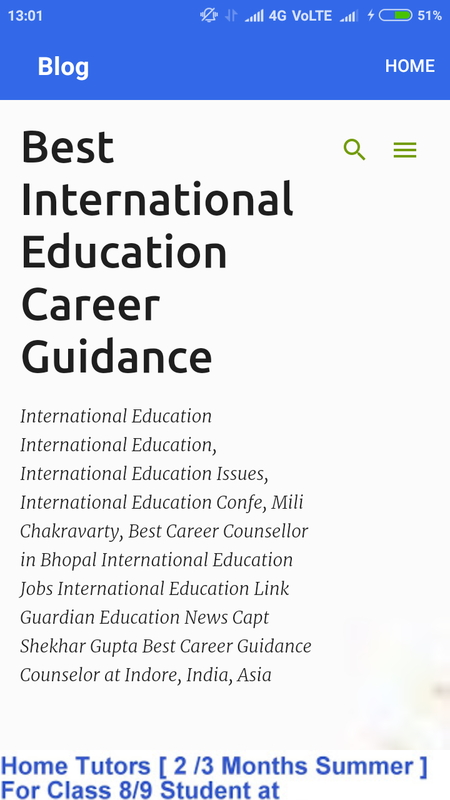 Such as the corner of the screen or towards the middle of the web page. While this method can bring in more downloads we recommend taking an alternate approach. Instead of placing it solely on your site, have a pop-up page display whenever someone visits your site. This way, the app is the first thing your viewers see. The pop-up page is simply a gentle reminder that you have an app and your customers are given either the option to download the app or continue to your mobile site. For more stats on email marketing, check out this piece. Our new app, (Insert app name here), helps you (insert what the app does). Click here (include hyperlink) to check it out! Videos are an easy way for you to showcase everything your beautiful and well-built app has to offer. For your demo video, create a simple 30 second commercial with the principles of Simon Sinek’s Golden Circle: Why, How, and What. Do not rely only on Google Play & App Store; there are various other app stores on the online market where you can upload your app. According to One Platform Foundation, if an app is submitted on other relatively less popular stores, it will increase the expected downloads 200% more compared to Google Play. 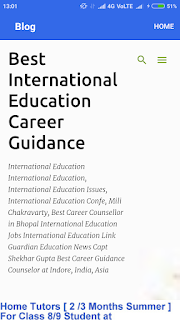 For more information, read this useful guide here. For this purpose, try these two awesome tools. Don’t rely on App Stores alone. Explore Google’s search engine and believe me it can do wonders for your app. Let’s say your app is related to music; Google the term “best music android apps” and see what results you get. In this image you can see how some top apps make use of a simple pallet of colors to make their icons stand out and build a recognizable brand. Finally, some of the most popular mobile apps with a great take on the idea of leveraging a logo icon over text. Just taking a screenshot of your app and dropping it in the app store, while simple, does a really poor job of getting across what you’re trying to show that potential user. Adding captions and adding more visual elements to your screenshots is the best way to turn a boring task management app, into a high download winner. Vine’s app page is able to put you in a scenario where just by looking at the screenshots, you can fully understand the features offered within that app. It makes it a simple choice to download or not to download. A great landing page is must have for any business, even if you don’t have a mobile app. Having a great landing page is like always having a great business card, just in case you ever need it, it’s good to have with you. Spendee is a great example of a great mobile app landing page that has all the elements needed to acquire users, inform users, engage users and help them share easily. 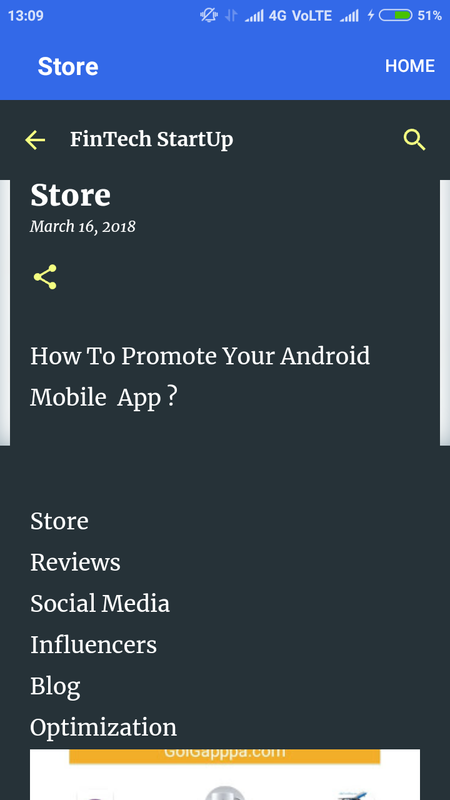 Breaking it down, while the page has multiple links out, the two most noticeable links are the App Store and Google Play Store buttons. They’re multiple times larger than the social sharing buttons, great to have for helping visitors to the site share the app, and they stand out just as much as the images to the right of them. As you scroll down, each panel has a single call to action, which leads directly back to the main call to action – to download the app. The second last panel even has social proof from news outlets as well as actual users of the apps. If you’re stuck on building your own app landing page, here’s a great template that has all the elements you’ll need. If you need more to choose from, here’s another 20. Having an app landing page is great, but chances are you have traffic going to your business’s website already. Leverage those existing customers and visitors to get more of them to download your app. It’s simple, stays at the top of all your pages and you can just get the most essential information across with a link to your app landing page or directly to the App Store. If you’re already in the social media game and have a Twitter profile, Facebook page or Linkedin page, make use of that space to promote your app. A promo code which are keys giving anyone who has them access to download the app for free. If your app is free, you do not need to worry about this. Getting press and reviews about your app is an easy way to capitalize on another site’s traffic. If you get featured on The Next Web, you can expect tens of thousands of unique visitors in the first 24 hours to hit your website and your App Store page. If you get reviewed by a popular app blog like AppAdvice, you can expect a similar amount of traffic to flow through to your website and App Store listing. We’ve compiled a list of 110 of the BEST places for you to submit your app for review and to get press. With a cumulative total of over 1o million Twitter followers, over 5 million Facebook fans and tens of millions of unique visitors per month, features on any of these websites can mean lots and lots of downloads for your app. Be sure to read the next promotion method below to get your app promotion materials in order! Most journalists are pressured by deadlines to have new content out and because of that, they don’t have time to spend following up leads or trying to find more information on stories that are sent in. To make sure you have the best chance of getting your story published, you’ll want to make sure you have everything a journalist will need in your PR kit. Your app summary guide is a walkthrough of what the app is, how it’s used, who it’s targeted to, the problems it solves and any other information surrounding why the app was created as well as why it matters. The press release is the main story behind why you’re reaching out for press. It should cover off the problem your app solves, why it’s being released now and any other stats or facts surrounding the benefits of using the app. This is where you make the sale to the journalist to publish the story. You’ll need both app screenshots (like you would have in your app store listing) as well as lifestyle pictures in your PR kit. Be sure to include lots of screenshots, more than you think reasonable. If you’re sending this PR kit to a few dozen news outlets, you want to ensure they’ll have the option of not choosing images other news outlets have already used. Give the news outlet all the icon sizes, logo sizes and other design collateral they’ll need so they can keep your branding in the article clean. The last thing you want is to be featured on TechCrunch with a blurry logo because you only sent them one image size. Changes to those articles can often take weeks to get through because they’re taken as the lowest of priorities. A good promo video can do wonders for helping people understand what your app is all about. By seeing it in action, they can make a very conscious decision about their choice to test out your app. Often you’ll see quotes from the founders about their decision to build an app or about their decision on the market they’re after. These types of quotes help set a message about the company behind the app and build a strong brand for the company behind the app. When you have your press kit and press release ready to go, here’s 20 free press release distribution sites to get you started thanks to Mashable. Having a good Promo Video is a Staple of any mobile app. It’s a quick and easy way for someone to understand the most common use case behind the app and how they could use it too. Clear’s promo video is a great example of how simple it should be to get across just enough Information to entice a download. While this video may seem simple compared to other app promo videos, the video generated over 1.2 million views. The additional benefit of a promo video is that you can take advantage of video SEO. For example, if people search for “the best list making app” and you’re YouTube video title matches, your video will show up before the rest of the search results. A great example is if you search “hello” in Google. Despite it returning over 800 million results, the first thing it displays is Adele’s song Hello. Social Media, Despite the Heavy Focus by most businesses, is still a very under Utilized Channel of promotion. Sending the message once is good, but sending it multiple times over a month or two is even better. The typical Facebook page post reaches 16% of the page’s fan base. Now if you were to take the same message, re-write it 4 or 5 times and send it out once a week for 5 weeks, you’re theoretically reaching 80% of your Facebook page audience. See how that makes a big difference. When you launch something like a mobile app, it’s a big achievement for the company and it can mean any number of things for your customers. Make sure they’re getting the message by re-posting the same content but with a different message. Announcing your app launch as a company update is a great way to keep your customers informed about a major company change. 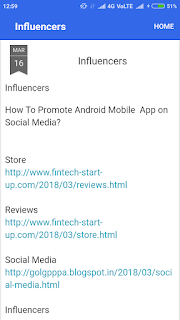 You can leverage your social network to drive traffic and cite the blog post in your email signature to make sure those you’re in contact with know your have a mobile app. It can often take weeks if not months for all of your existing customers to know that you’ve finally launched a mobile app. But those same customers that don’t know, likely get emails from you weekly or maybe even daily. Add your app download links or a link to your app landing page to your email signature as a really easy way to drive downloads over time simply by sending the emails you normally send. If you have a few people in your business, make sure they do the same. For example, if you had 4 people in your business each sending out an average of 20 emails a day (that’s a really low estimate), that’s 80 people that you’re able to inform per day about your mobile app. That’s 560 a week or over 2,400 a month! If you run a brick and Mortar Business, the best way to drive ongoing app downloads is to leverage your foot traffic. By placing a QR code, or even just a sticker for the Google Play Store and App Store in your window, you’re informing your customers that you have a mobile app. Something they may not know at the time. Similarly, by having a QR code on your business cards, everyone that get’s a card can have a direct link to download your app in their pocket. Linkedin is a massive social network with 400 million business professionals and Facebook has over 1 billion users. They represent many markets, many industries and has groups for just about everything you can think of. Find groups that are made up of people that closely resemble your existing customers or your ideal customers and share the app with them. Explain the benefit of using the app and why they should use the app. If you find a big group, contact the admin of the group and ask them to partner with you to promote the app. It could be in exchange for money as a paid promotion or it could be a referral partnership where you pay for each download or each new customer. Meetups, events and conferences can be a great place to recruit new mobile app users. Simply bring along a stack of business cards with your app download link on them and give them out to everyone you speak to. Some larger meetups can involve hundreds of people while a decent size conference can attract thousands. Have a brief initial conversation with the people at the event and then hand them the business card. Suggest that they check out the app and get in touch with you to give feedback. It’s a great way to get lots of new users on the app and also get feedback for improvement. Take a look at blogs in the space that are relevant to your mobile app. Identify the opportunity to add value by commenting on relevant blogs that makes sense. Be sure to provide valuable insight and also link to your mobile app or to your mobile app’s landing page. Typically this is seen in the internet marketer space but it can also be used in mobile app promotion in order to drive high-quality relevant links and traffic to your mobile app’s landing page or download link. Leveraging the power of influencers can be the best way to drive mass amounts of traffic to your mobile. To do this you simply have to go to a website like buzzsumo.com to find a list of relevant influencers in your mobile app’s space. You can work with these influencers in two ways. You can also automate this slightly, using tools like contentmarketer.io, where you can schedule a bunch of tweets through Buffer to be drip fed over time. You can also try networks like copromote.com to leverage the influence of others in a share for share manor. In the world of digital, it’s highly unexpected to do anything fully offline and see results. The guys over at Dojo have had amazing success in doing the unexpected and just appealing to people on an offline and one to one medium. They needed to get an initial base of customers for a localized app fast. They decided to take to the streets with a simple and super effective letter to appeal to the interest and curiosity of people. They handed out 19,000 of these letters and during prime commute hours, hand them out to commuters. The result was over 3,000 downloads (a ~15% conversion rate) and amazing social media exposure. Be unexpected and amazing results can come of it. Pinterest has released a new feature that allows people to download IOS apps directly from Pinterest known as App Pin. Meaning you can have pictures of your beautiful app and right next to the red “Pin it” button there is a blue “Install” button. More information on how to app pin can be found on Pinterest’s official blog here. Promoting your app does not always mean having to distribute it yourself across every channel, it can also mean lighting a small spark and letting your customers run towards the finish line. Creating a contest within your app will incentivize your users to download the app and keep it for the remainder of the contest. Your app can have a live leaderboard so customers are always aware of where they stand in the rankings. Set up your contest so customers have various ways to climb up the ranks either by engaging with your company, sharing the app, or having their friends sign up. Customers should also know when they should tune in for updates. If your Customers take the time to write out a review, no matter how long, you should take the time to answer back to them. So many Companies make the Mistake of simply leaving an Automated message to all their customer. Not only will this turn away customers but your ranking score will also drop significantly with customers who feel their Concerns are not being taken care of. Take App Promotion one step deeper by having your own app promote itself. Your Customers will make Endless Discoveries as they explore your app and nothing is more Satisfying than Sharing Those Discoveries with the world. By including the option within your app to share their screens and share in-app content, you broaden your app’s visibility and create a platform by which your users can express Themselves. Your Customers need to know you are always making the app better for them. Apps that are not being cared for will be thrown away. Users will feel Betrayed if you are not doing all you can to make the Experience better for them. This is especially true of you still have not addressed many of the issues that customers rage about in the review sections. Keep your app content fresh and let your customers know that you are always planning something more for them to enjoy. Feel I missed any note-worthy points in this post? What is your Secret App Promotion Weapon? Let’s discuss that at length in the comments section.